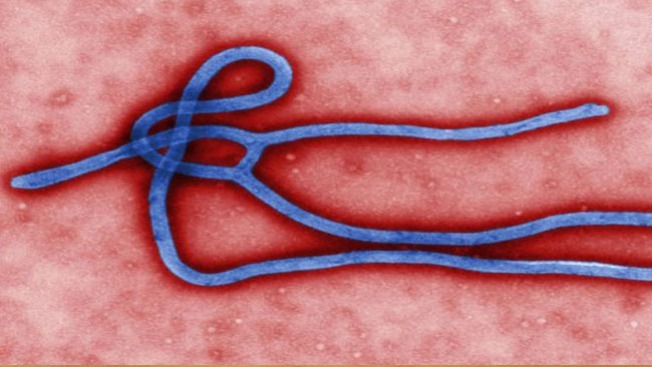 Health officials said Wednesday a patient who was being tested for Ebola in Sacramento is at low risk for the virus. Speaking to the media during a conference call, state and federal officials said they will not divulge which West African country the patient traveled to or from in order to protect the individual's privacy. Officials will not be releasing the patient's identity, gender or whether the patient is an adult or minor. Health officials are also contacting those who may have come in contact with the Sacramento patient. "It is unlikely that Ebola presents a significant risk to Californians," said Dr. Gil Chavez, deputy director for the Center for Infectious Diseases and State Epidemiologist at the California Department of Public Health. Chavez said that the CDPH has not received any reports of high-risk patients being treated in California hospitals. He said that the results of the testing of the Sacarmento patient would be available in three days. Health officials announced Tuesday that the patient who was admitted to a South Sacramento hospital may have neem exposed to the Ebola virus. The Kaiser Permanente South Sacramento Medical Center is working with the Sacramento County Division of Public Health and Centers for Disease Control and Prevention to test blood samples from the patient. "In order to protect our patients, staff and physicians, even though infection with the virus is unconfirmed, we are taking the actions recommended by the CDC as a precaution, just as we do for other patients with a suspected infectious disease," Dr. Stephen Parodi, director of hospital operations for Kaiser Permanente Northern California, said in a statement. "This includes isolation of the patient in a specially equipped negative pressure room and the use of personal protective equipment by trained staff, coordinated with infectious disease specialists. This enables the medical center to provide care in a setting that safeguards other patients and medical teams." The Ebola virus got worldwide attention earlier this month when two United States aid workers were infected in Liberia. The aid workers were move to an Atlanta hospital for treatment in a specially equipped plane. Both patients are recovering, officials said. The Ebola outbreak started in December of last year in West Africa. Since the outbreak, some 2,200 people have been diagnosed with the virus and nearly half o those people died. Even though the Ebola virus can be deadly, doctors said, survival rates are improving because people are getting checked if they feel they have come in contact with the virus. Chavez told reporters that any hospital in California should be able to treat Ebola patients. The Sacramento case is the first case in Caifornia linked to the Ebola outbreak in West Africa, Chavez said. "We knew it was a matter of time before we had a case in California," he said. For more information about Ebola, please visit the CDPH home page's "Other Hot Topics" and the CDC's page on information and updates. NBC Bay Area's Cheryl Hurd and Riya Bhattacharjee contributed to this report.